Former president Joyce Banda has accused the administration of her successor and political rival Peter Mutharika of failing the country on fighting corruption. In an exclusive interview at her Domasi house in Zomba on Monday, the former president specifically questioned the Mutharika administration’s failure to arrest any individual in connection with the K236 billion Cashgate. 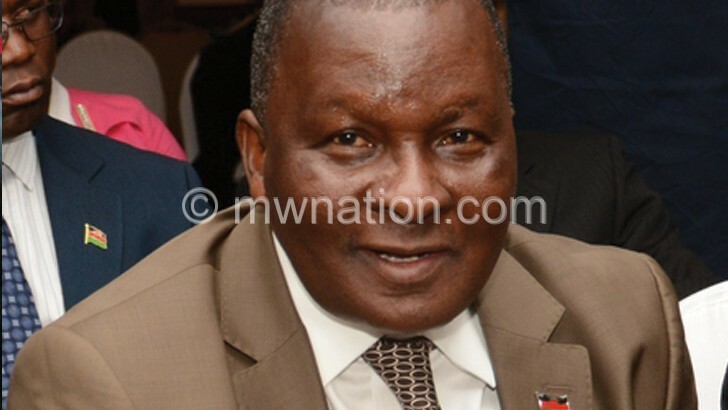 But Minister of Information and Communications Technology Nicholas Dausi, who is also the official government spokesperson, said institutions such as the Malawi Police Service (MPS) and the Anti-Corruption Bureau (ACB) have responsibility over the matter. He said the Executive branch of government has no role in how the K236 billion Cashgate is being pursued. Banda returned home on Saturday after a four-year self-imposed exile in the United States of America and South Africa. Since her return, the former president has made statements clearing her name from the Cashgate—the plunder of public resources at Capital Hill exposed under her watch in 2013—claiming that even the International Police (Interpol) cleared her. Her Interpol clearance sentiments come against an MPS statement last August that there was a warrant of arrest for Banda for her alleged role in Cashgate. The police said the warrant was issued in February 2017. Subsequently, her prolonged absence was interpreted as escaping possible investigation and trial, in case she was suspected of wrong-doing during her two-year presidency, by authorities. But during Monday’s interview she said her four-year absence was meant to allow her successor run a stable government. Banda questioned the administration’s failure to arrest any individual for the K230 billion Cashgate. The shooting on the night of September 13 2013 of former Ministry of Finance budget director Paul Mphwiyo outside the gate of his Area 43 residence in Lilongwe led to revelations of the plunder of public resources at Capital Hill. Banda ordered an audit which British firm, Baker Tilly, undertook covering a randomly selected six-month period between April and September 2013. The audit established that about K24 billion was siphoned from public coffers through dubious payments, inflated invoices and goods or services never rendered. In May 2015, a financial analysis report by audit and business advisory firm PricewaterhouseCoopers (PwC) also established that about K577 billion in public funds could not be reconciliated between 2009 and December 31 2014. The K577 billion figure was later revised downwards to K236 billion in another forensic audit released in 2016. In December 2015, first Cashgate convict and former principal secretary for Tourism Treza Senzani, who died after her release in October 2016 after serving her three-year sentence, alleged in a witness statement that the highest level of the Juyce Banda administration was involved in Cashgate. During Cashgate cases relating to the plunder of K24 billion under her watch, some of the accused civil servants, who were eventually convicted, alleged she was involved in the scandal. But Banda on Monday said the allegations and the subsequent investigation were politically-motivated. She claimed to have evidence that some of the Cashgate convicts were coerced to implicate her. 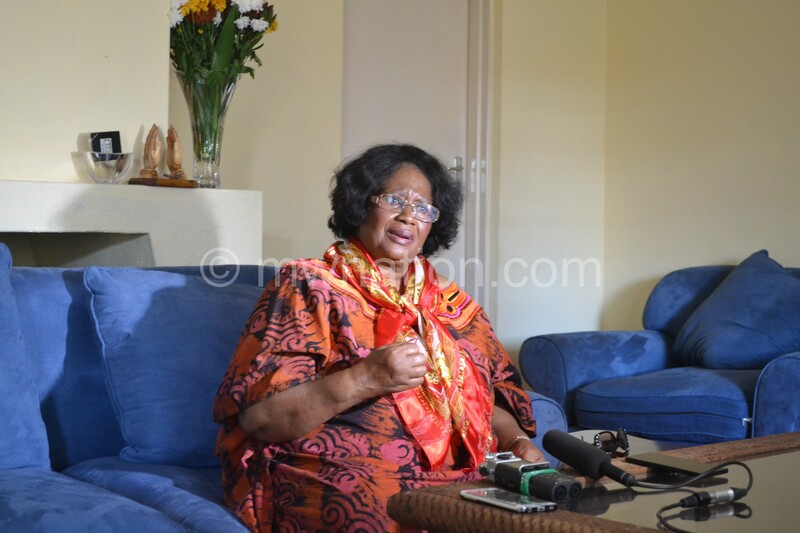 During Monday’s interview, Banda said the last time she directly spoke with Mutharika was in April 2012 soon after her ascendancy to the presidency in line with constitutional order following the death of former president Bingu wa Mutharika. On the political front, Banda hinted at the possibility of an electoral alliance between her former governing People’s Party (PP) and other political parties. But she dismissed suggestions that she was championing an alliance with Mutharika’s Democratic Progressive Party (DPP). She also maintained that she did not sanction a meeting between Mutharika and some PP legislators where the PP members of Parliament sought guarantees of her freedom. On the 2019 elections and her possible candidature, she said the PP national executive committee (NEC) will decide next week during a meeting slated for Lilongwe.